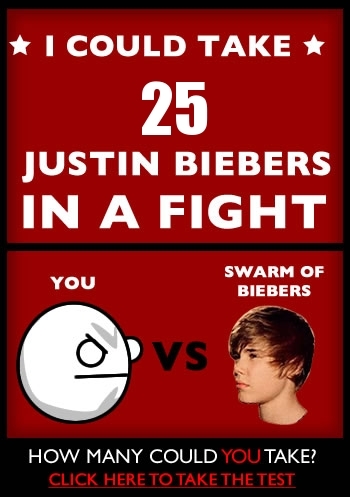 Take the Quiz yourself and find out how many Biebers you can take down!!! Restore some of my faith in humanity and take the test!! Categories: Shits and Giggles | Tags: Bieber, fight, funny, Justin Bieber, lol, quiz, quizzes, rage, Swarm of Biebers, test, the oatmeal | Permalink.